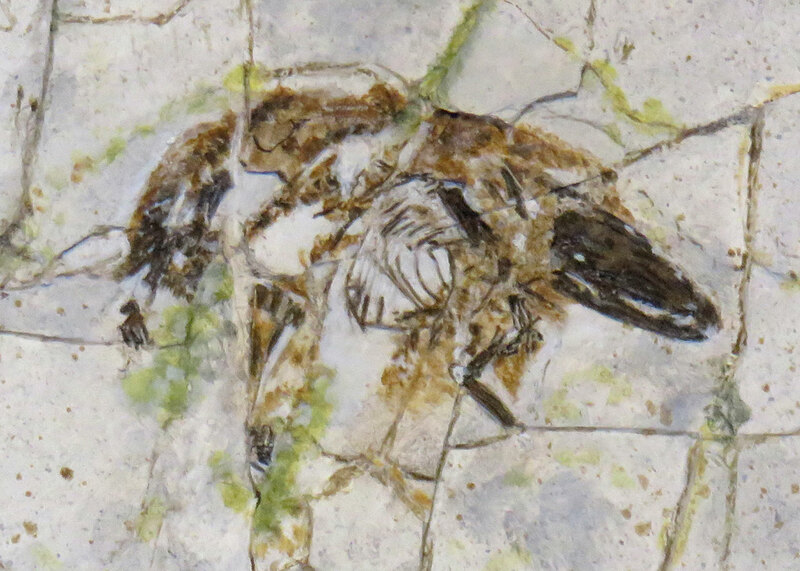 This picture is of a Sinodelphys szalayi (Luo, Ji, Wible & Yuan, 2003) mammal fossil. It was found in Liaoning China. The fossil dates to Lower Cretaceous Period (Barremien - 125 million years ago). Fossil displayed at Muséum National D'Historie Naturelle Jardin Des Plantes Paléontologie et Anatomie Comparée, Paris, France. Image taken August 2016.